Resilience can be built, but also broken. Learn everything you need to know about the all-important life skill to succeed in face of adversity with this Ultimate Guide on how to build resilience. 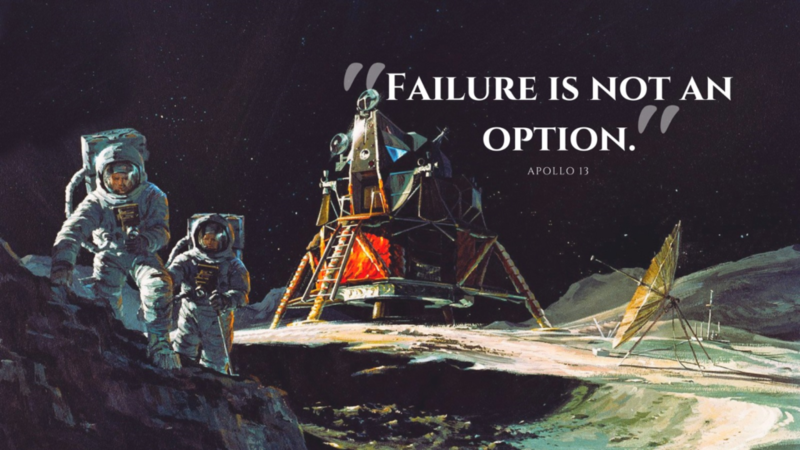 This quote, made famous by the blockbuster hit, Apollo 13, is inspiring. It conjures up images of people doing super human things to get the job done. But whilst it was perfect for the movie, it’s not necessarily perfect for life. In fact, not only is failure an option, but it’s an inevitable part of all of our growth processes. To achieve your goals in life, you must accept that you cannot stop failure from happening. And you must learn how to build resilience and view failure as an opportunity to grow, not a sign of weakness. In this article, you’re going to learn exactly how to do just that. Deep down, we are all resilient people. It’s in our nature. However, as life wears us down, our resilience can break, and this can seriously impact how we view life and ourselves. If you feel as though you’re not resilient, don’t worry. You’re not alone. Some 10 percent of Americans report feeling helpless all or some of the time. And there’s also hope. Lots of it. Experience teaches us to feel helpless. But if you actively work to understand where this feeling comes from, you can develop the skills of resilience and use them to help you find success and achieve your goals. Resilience is a skill you can learn, and if you succeed in doing so, you’ll find the life you’ve always wanted is well within your reach. Read on to discover what resilience is, how you can build it, and also how it can be easily broken – if you’re not careful. 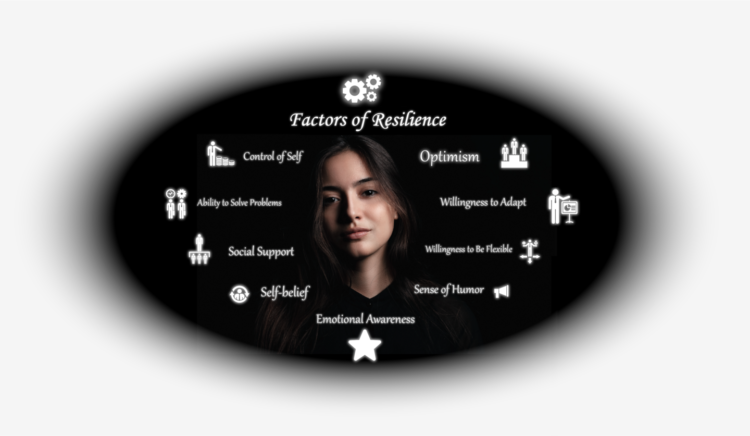 And then take the resilience quiz to learn just how resilient you are right now, and what you need to do to further develop this all-important skill. What If I’m Not a Resilient Person? What does the Hiroto Experiment tell us? Before going too far into how you can develop resilience, it’s important to define exactly what it is. However, as we all know, dictionaries don’t always tell the whole story. Resilience is about a lot more. For one, resilience is a mindset. It’s the ability to recognize adversity not as a setback but rather as an opportunity to grow and develop. And it’s also the ability to not let these setbacks stop you from believing you can accomplish what you want. You may be reading this definition of resilience and think, “That’s simply not me. Things are hard for me, and I’m sensitive. It’s normal to think this way, but understand this is not an inherent part of your character or personality. Whether or not you’re resilient is actually a product of your experiences. And there’s some science to back this up. There was an experiment conducted back in 1975 that is now known as the Hiroto experiment (named after the gentleman who published the paper describing the experiment and its results). In the experiment, two groups of subjects were exposed to a loud, irritating sound. They were told they could turn the sound off if they succeeded in solving a puzzle, which was essentially pushing buttons in a certain order. However, one group was given an unsolvable puzzle, meaning they were unable to succeed no matter how hard they tried. Afterwards, both groups, plus a new group of subjects, were exposed to a different set of puzzles and the same sound. However, this time, both groups had an equal chance of solving the puzzles. The group that succeeded the first time, and the group of new subjects, did significantly better than the group that had failed the first time. Essentially, Hiroto demonstrated that helplessness is a learned experience. After we go through one failure, we’re conditioned to think we’ll fail again if put in the same situation, even if our chances for success are no different, or even better, than the first time we tried. So if you feel you cannot overcome failure, this is not because you’re incapable of doing so, but rather because you’ve been conditioned into thinking you cannot rise above adversity. This is important because if you can be conditioned into thinking you cannot rise above adversity, you can also be conditioned into thinking you can. And this is how one develops adversity. You can train yourself to understand that each situation is unique and that success or failure in your next endeavor is not dependent on how you got into your current predicament. So, now we know it‘s possible to build resilience, even if you don’t feel you can. In fact, there’s a good chance that you’re already much more resilient than you think you are. To find out where you measure up, you can take our quick, informative resilience quiz. It’ll give you an accurate picture of how resilient you are right now and will show you the steps you need to take to get to where you want to be. It’s important to remember, though, that building resilience isn’t going to happen overnight. It will take time to retrain yourself and to change your mindset so that you can view failure in a new light. But it is possible, and it starts right now. The first step in building resilience is to understand why you struggle in the face of adversity. As we mentioned earlier, helplessness is something we learn from our experiences. So before going too far, it’s important to identify the experiences preventing you from being all you want to be. Obviously, this will be different for each person. Perhaps there was some childhood trauma that has caused you to lose confidence in yourself, or maybe a relationship went sour and spoiled your trust in others. Whatever it is, some honest discussion about what you’ve been through and why you’re in this current situation is an important beginning to the process of building resilience. However, it’s also important to not overthink this too much. There will not be one reason why your resilience was broken. Our experience as humans is far too complex to establish such strong cause and effect relationships. But it is helpful to think about some of the things contributing to your current state so that you can understand what you are up against in the resilience building process. All of us will encounter adversity and problems. Some problems we will tackle and overcome without a second of hesitation. 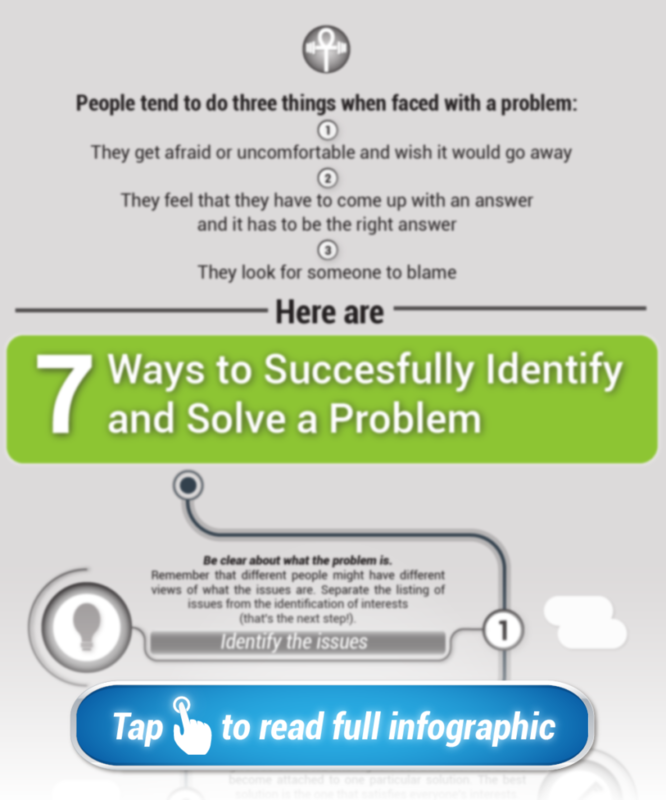 Larger problems make us go, “Oh my!” And then we hesitate and engage in one of three behaviours…use this infographic to identify a problem and then find solutions to them. This is essential for building resilience. Resilient people look at failure as an opportunity for growth, whereas people who struggle with resilience will view failure as a catastrophe that cannot be overcome. But this is simply the result of different experiences and perspectives. The issue lies in framing. You need to train yourself to frame failure as an opportunity. And this comes from reconditioning the way you think about certain situations. For example, let’s say you lost your job. You could look at this situation as a sign your life is falling apart. Or, you could see it as a chance to finally launch the business you’ve always wanted to start, or to look for a job you find more rewarding. You’re not destined to view this as a sign that your life is falling apart. And if you work with someone who has experience in training people to be resilient, you can learn how to view situations of failure as opportunities for growth. This will better prepare you to manage adversity. And then use this infographic to develop your invaluable growth mindset. Life is a marathon, not a sprint. It’s important to always keep this in mind. To develop resilience, you must learn to not let every setback completely throw you off. Failure is a part of life. This we cannot control. But we can control how we react to failure. If we can train ourselves to see it as part of the growth process, then we will be less affected when we do fail, making it easier to persevere through adversity. Of course, this is easier said than done. You’ll need to develop some skills to help you maintain this perspective. One helpful thing you can do is to keep a journal of accomplishments and failures. When you do this, you’ll be able to see more clearly that progress inevitably comes with setbacks. This will help ingrain in your mind that failure is not the end of the world and that your current situation is simply one step of the many you’ll take on this journey we call life. Time to plan that journey. 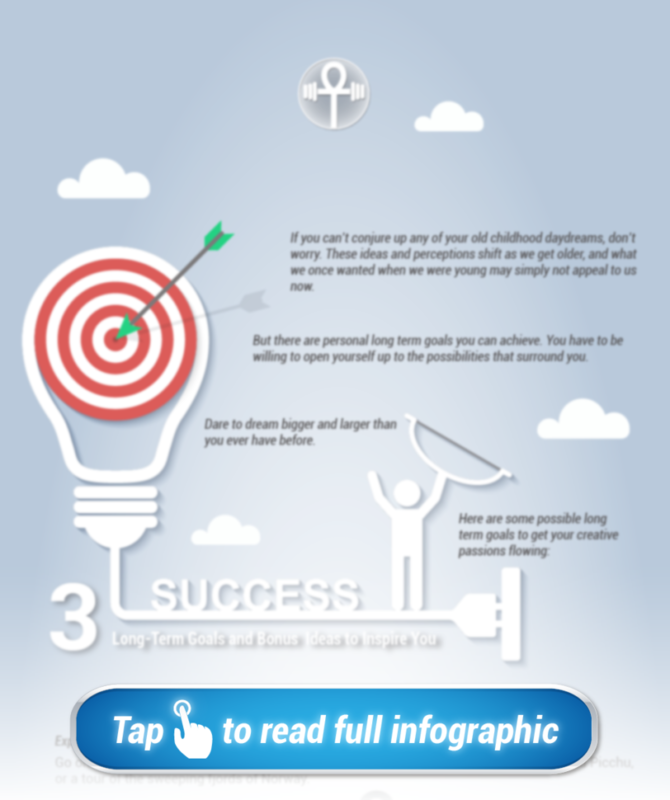 Use this infographic to dream bigger than you have before and open yourself to the possibilities that surround you. But people who appear to be living their dreams are confronting the same problems you are every day. The only difference is that they have learned to be patient with themselves and to view their problems not as obstacles but opportunities. Part of this, though, comes from learning to be self-compassionate. This means understanding our imperfections and accepting them, not criticizing them. We all have flaws, and we all have things we’d like to improve, but there’s no point in getting down on ourselves about it. It’s much more effective to accept our imperfections as part of who we are and look for ways to live with them. Many of us are compassionate to others. And that is a wonderful trait. And if we can be compassionate with others surely we can show compassion to ourselves. This infographic will help you identify your own needs for compassion and give you a method to deliver it. Dr. Susan David, a renowned emotional psychologist, defines emotional agility as “a process that enables us to navigate life’s twists and turns with self-acceptance, clear-sightedness and an open mind. Being emotionally agile means being able to bend to whatever life throws your way without breaking your resolve to work for your dreams. However, there is something else to point out from Dr. David’s definition: it’s a process. You don’t just wake up one day and have emotional agility. Instead, it’s a skill you will need to work on to make a part of who you are. And there will be setbacks along the way, always. But that’s okay. Emotional agility and resilience go hand in hand. If you can understand your emotions, be aware of where they come from, and then adapt to them, you’ll be far more prepared to overcome failure when it does happen. 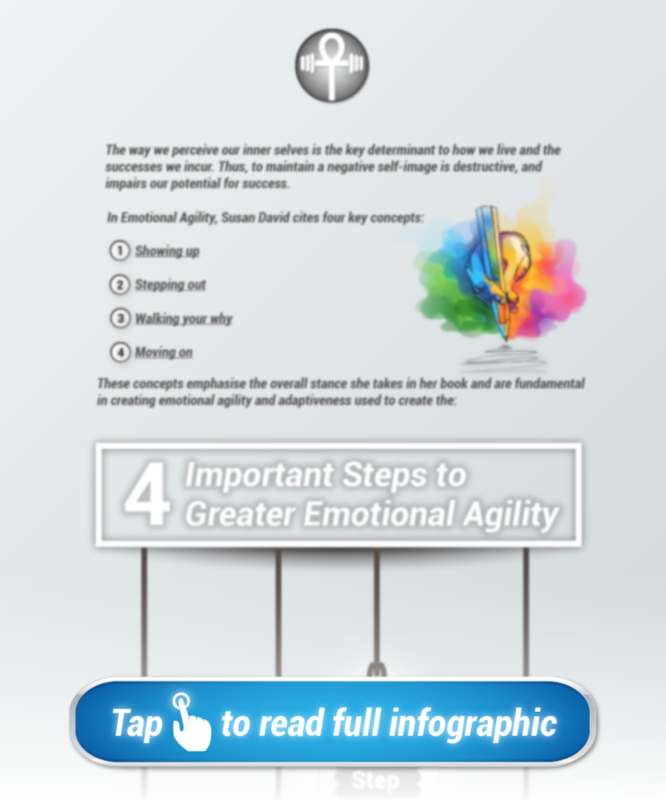 Check out this infographic to illustrate the four key concepts you can use to gain emotional agility. Although resilience can be learned and developed over time, it’s important that you understand that it can also be broken down in a number of different ways. By accepting these, you’ll overcome roadblocks that could well become disastrous setbacks to your self-development and personal growth. It’s important to have goals. But it’s just as important to set goals you can actually achieve. If you don’t, then you’re obviously going to fail, and you’ll do it over and over again, which will start to condition you into thinking failure is the norm (remember Hiroto). There are two sides to this. The first is the goal itself, and the other is the timeline. It’s perfectly okay to have lofty and ambitious goals, but if you don’t give yourself enough time to achieve them, then you’ll quickly get down on yourself. So, whatever your goals, whether to own your own business or to publish a book, that’s great. But consider your situation and how long it will actually take to get to that point. It might take you five years, and that’s okay. But if you convince yourself you can do it in two, you’re just setting yourself up for failure. And you’re putting your resilience in jeopardy. 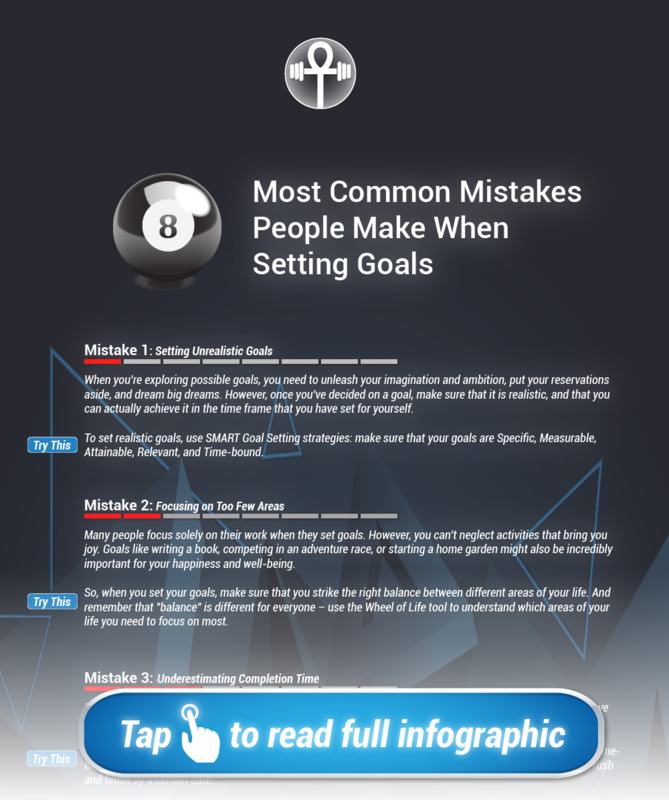 Use this infographic to avoid the most common goal-setting mistakes. An effective goal setting strategy will increase your likelihood of success. A strong support system is absolutely essential for success. Failure is a natural part of the process, so when it happens, it’s important to have people there who can help pick you up and help you get you back on track. This can come in many forms. Those in your support system can help you escape and focus on other things, or they can give you professional advice. The best support systems will adapt to your situation to offer you the help you really need. However, if you don’t have people around you to help you, then it’s really easy for your resilience to break. A lot of times, though, a lack of support comes because we don’t open up enough. This is typically not true. No one can help you if you don’t reach out and ask for help. Building resilience is as much about developing a new mindset as it is learning how to ask for help when you need it most. 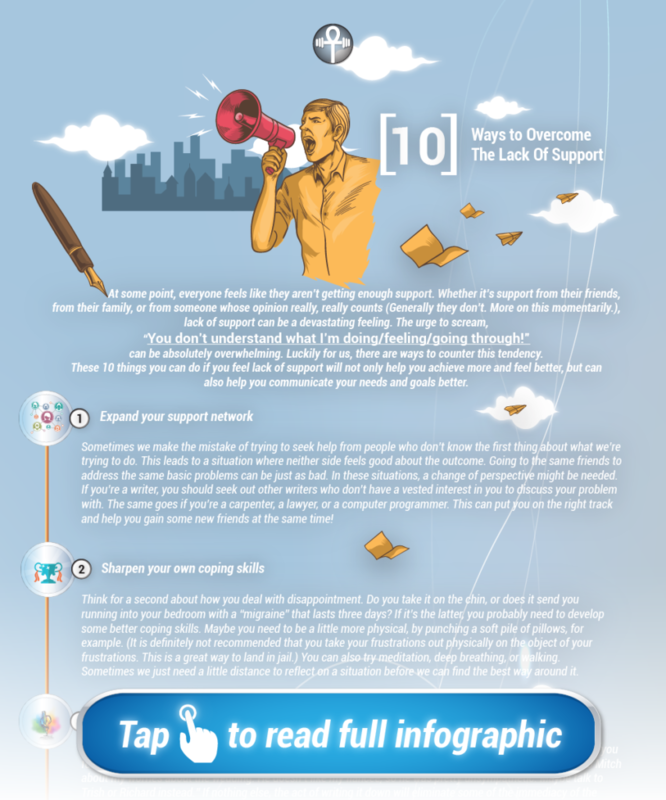 Use this infographic to learn to communicate your needs more effectively and overcome any lack of support so you achieve more. Everyone talks to themselves. And the running commentary we all keep inside our heads has a huge impact on our perceptions and actions. Most of us have a surprising amount of negative self-talk. This means the voice inside our heads constantly tells us we’re not good enough or that we deserve the problems we have. It’s very easy to develop negative self-talk. We are constantly receiving messages that we need to be more, that we are not good enough. Either from the media, from advertisements or from other people. And it’s hard to fight this onslaught of negativity, eventually eroding our resilience till it breaks. The most powerful words you will hear are the ones that you whisper to yourself. 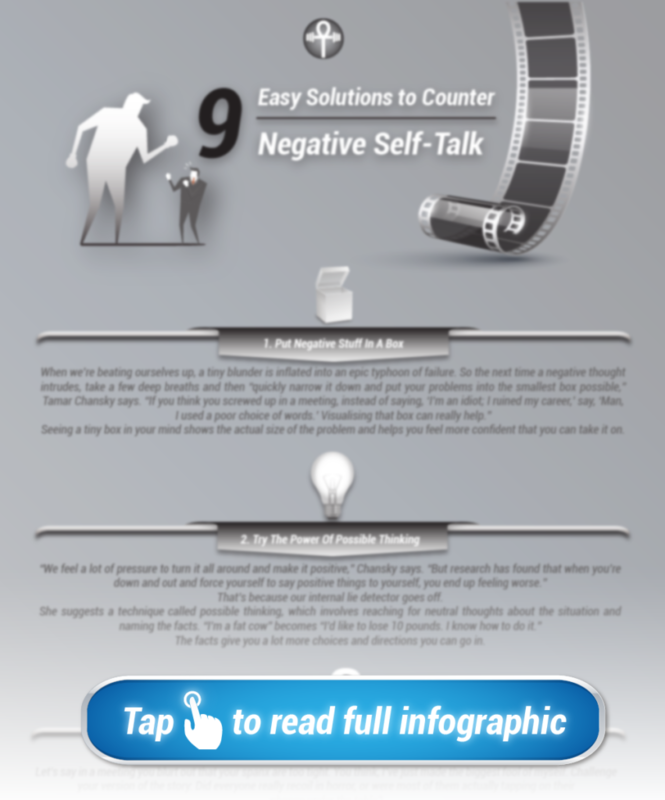 This infographic will teach you to get a handle on your negative self-talk and provide strategies on how to harness the positive power of your self-talk. At this point, you may be wondering how resilient you really are. Do you have the skills you need to overcome adversity and achieve your dreams? Well, it’s time to find out. 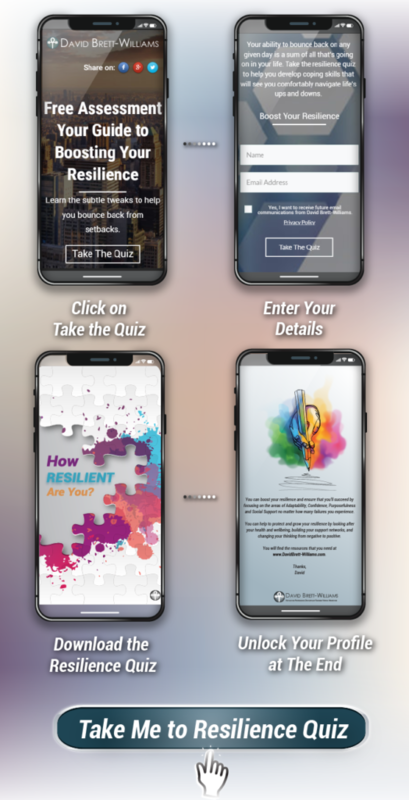 Take the resilience quiz to see how well positioned you are to bounce back from tough situations and live the life you want to live. This will give you a concrete starting block, from which you can launch headlong into personal growth and living the best life you possibly can. Start building it today so that you can move through life prepared for whatever it throws your way.